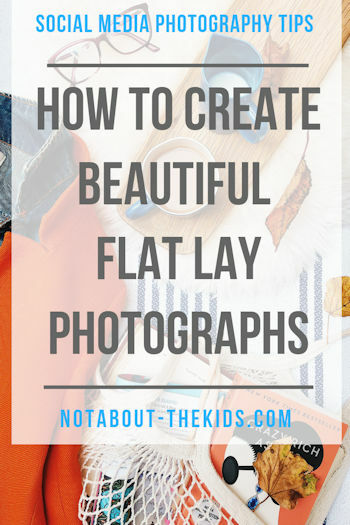 Flat lay photography, an image shot from above, is a staple of Instagram and blogging content. How hard can it be, photographing bits and stuff on a flat surface? But as with e v e r y t h i n g creating a killer flat lay is not as easy as it looks. I have climbed on tables, toppled off chairs and almost been reduced to tears in the quest for a beautiful coffee composition. I have some tips of my own, but first I want to hand over to a professional. 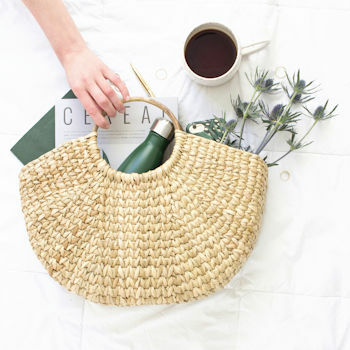 Michelle Blanchard is a product stylist and photographer who creates the most beautiful visual stories with her client’s products. I met her on Instagram, and we chat between England and Canada where she lives and works creating this kind of image daily. Michelle almost always shoots in flat lay. Here are Michelle’s top 5 tips for flay lay styling. Thinking of a theme can give a flay lay a wonderful sense of cohesiveness. It allows you to choose the props, backdrop, lighting and elements that will let your visual story come together just the way you picture it in your mind. 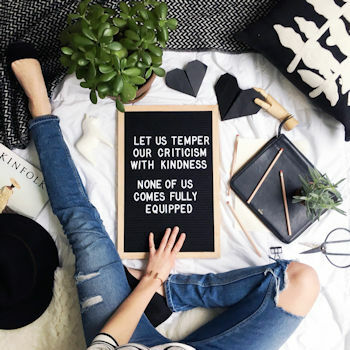 Popular themes can be of coffee/tea moments, ‘at work’ scenes, brunch with friends or including a quote that you love to give your flat lay context. Don’t be afraid to use your imagination though! If you have a favourite hobby, collections, colour or point of view, infuse your flat lays with those, it adds personality and let’s be creative. 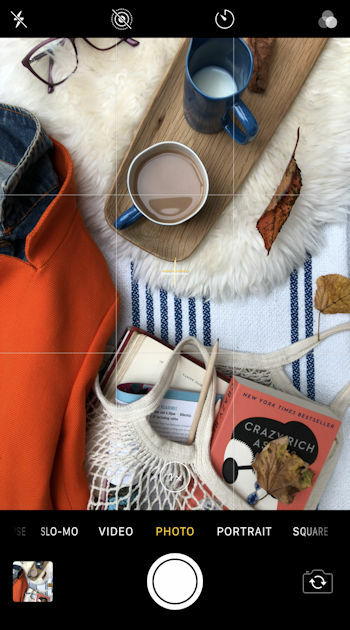 With a flat lay being a view from above, the backdrop is an element that tells part of your story. I love the idea that it’s there to set the mood for the props you’ll be using. White backdrops are a favourite because of their versatility, but there’s no need to stop there. Wood table surfaces for cosy scenes, throws add texture, coloured backdrops to add some fun and personality, a rug with interesting patterns….there’s no shortage of options. Click to read a great post by Snapfluence about flay lay backdrops, and how to create or buy them. This is the fun part because there is something about gathering props and seeing them come together to create a story that feels like playing! When you start placing your props for your photo, it’s important to be clear about the star of your flat lay. The star is the prop that stands out as the focus, the other props will be an extension of your star; there to support it, not distract from it. Play around with composition and negative space; sometimes leaving breathing room can do wonders for your flay lay by letting the eye rest and take in the photo. If you are going for a busier feel, bring on the layers instead. Layers look especially beautiful in a cosy scene; think throws, stacks of books, trays layered with coffee, tea, food etc. They add so much warmth to your image. 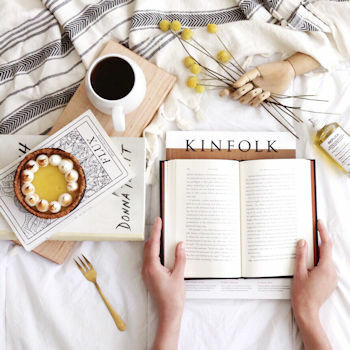 One of my favourite tips to share is to include a pair of hands in your flat lay, interacting with some of the props. Whether it is a hand writing or drawing, holding a coffee mug or flipping through a book, it adds a sense of movement in a still photo and creates a feeling of being in the moment. 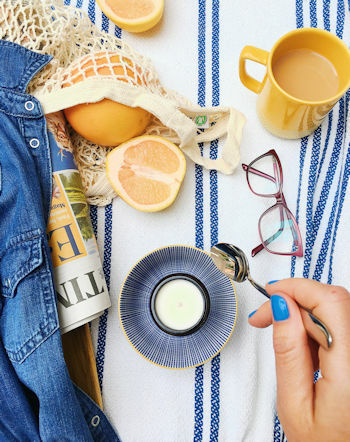 Like any photo, lighting is going to be an important element to your flat lay. Whether you choose natural light (my favourite), or artificial light, it’s important to only use one light source to avoid white balance issues. Another trick is to use a white foam core board to bounce light into your flat lay, it creates even lighting which is always a win in a flat lay! Aren’t Michelle’s flat lays gorgeous? And I particularly love her tip for having a star item in every scene you create, I’ve never thought about it that way before. Check out Michelle’s Instagram here. I have been taking flay lay photographs for less than 12 months. Before then, I would never have dreamed of standing on a chair in the middle of a cafe so that I could get the right angle for a picture. My images have improved over the year (with pain and practice). Here are a couple of tips that have helped me, as a beginner, enormously. Such a small thing, but such a big help when it comes to arranging a flat lay; turn on the grid on the screen of your phone camera (on an iPhone you go to Settings > Camera > Grid). It allows you to place the objects in a way that obeys the rule of thirds. Basically, if the subject of an image is placed along these lines it will often create a more pleasing and dynamic composition, click here for more about the rule of thirds. This really similar to Michelle’s advice to have a theme for your picture. Simply put, don’t photograph stuff, photograph and scene or story that makes sense. Often when I find that a flay lay isn’t working for me, it’s because I haven’t thought the story through. Have a few items that repeatedly feature in your flat lay stories. They give your work personality and create a flow. For me, my favourite prop is my glasses. My glasses are so important to me! Other treasures I use include a string shopping bag, particular books and brooches. What are yours? I will be sharing more of my tips for creating great photos and captions in our first one-day social media & branding workshop on Friday 2nd November, click to read all about it. And I have written more generally about tips for taking better snaps on a smartphone, that post is linked here. Such great advice Helen! I love Michelle Blanchard’s imagery and have used a couple if her tips before. 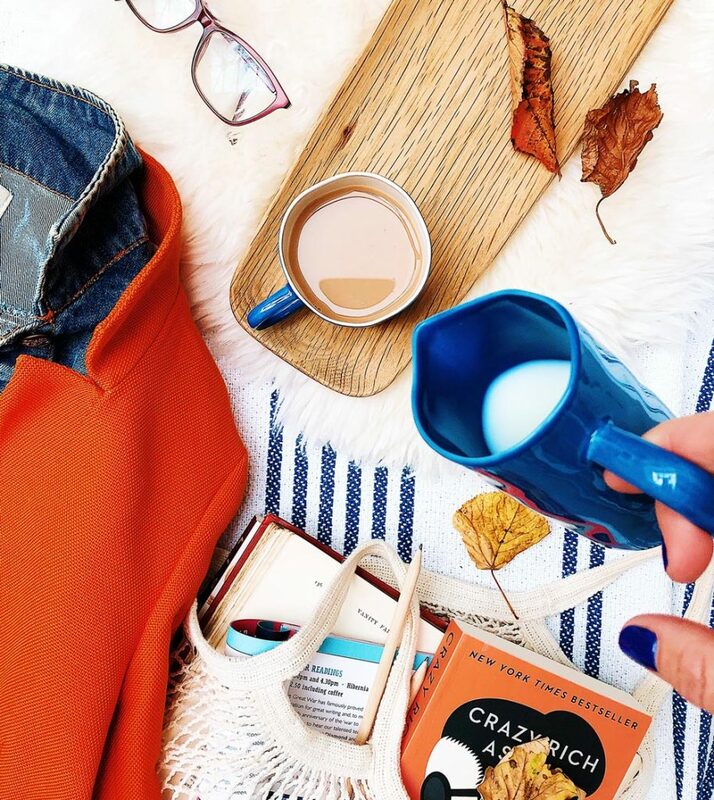 I love putting flatlays together, although it’s a lot harder than it looks, so I admire your amazing skills and I’ve never got on a chair in a coffee shop to take a pic – I’m in awe of your dedication to the task! I might have to give this a go if I can muster up the bravery!